FREE packet with all seed orders! Every year we invite D.T. Brown customers to trial a new variety that we think is something special. This year is no exception, with an outstanding leek bred by UK experts Tozer Seeds. 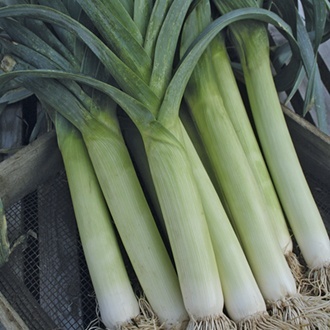 Stocky F1 is a fantastic new winter hardy leek bred for the UK climate that will thrive in even the coldest winters. As its name suggests, it bulks up quickly to give very high yields of great quality, solid, chunky and tasty leeks that can be harvested over an extended period. Has some rust resistance as well as excellent tolerance against Thrips. Harvest through the winter months into early spring.